As you can see, being a dapper dude doesn't take that much the place of work. Just wear a charcoal wool blazer and blue jeans and you'll look good. 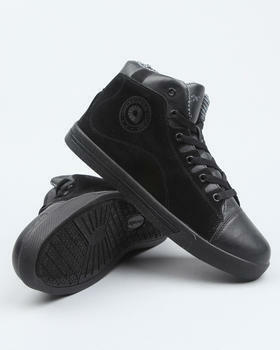 Go for a pair of Akademiks cap toe hightop sneaker from DrJays.com for a more relaxed feel. If you don't like spending too much time on your combinations, consider pairing a black bomber jacket with green jeans. To bring out the fun side of you, complement your ensemble with Akademiks cap toe hightop sneaker. 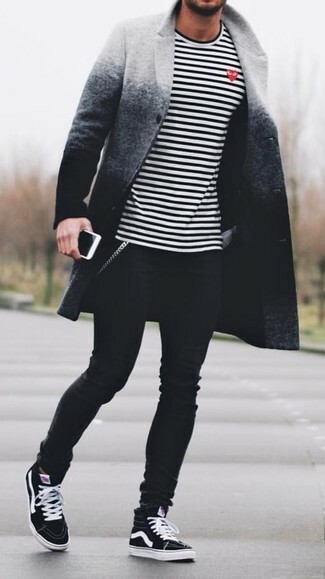 If you're on the hunt for a casual yet stylish ensemble, team a grey ombre overcoat with black skinny jeans. Both pieces are totally comfortable and will look great together. Throw in a pair of Akademiks cap toe hightop sneaker to make the getup current. 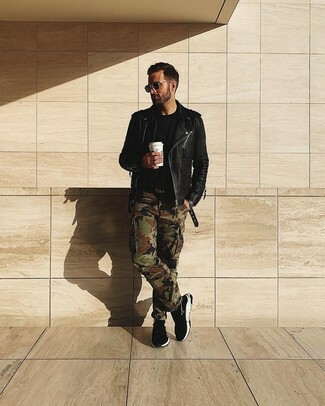 We all look for functionality when it comes to style, and this laid-back combo of a black leather biker jacket and olive camouflage cargo pants is a great example of that. Let your styling prowess really shine by completing your look with a pair of Akademiks Cap Toe Hightop Sneaker. If you're on the hunt for a casual yet dapper outfit, try pairing a red and black plaid long sleeve shirt with light blue denim shorts. Both pieces are totally comfortable and will look great together. 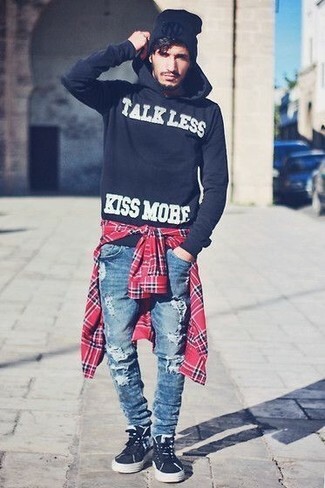 For something more on the daring side to complement this look, throw in a pair of Akademiks cap toe hightop sneaker. We're all seeking comfort when it comes to dressing up, and this combination of a black and white print hoodie and blue ripped jeans is a perfect example of that. When it comes to shoes, this outfit pairs nicely with Akademiks cap toe hightop sneaker from DrJays.com. 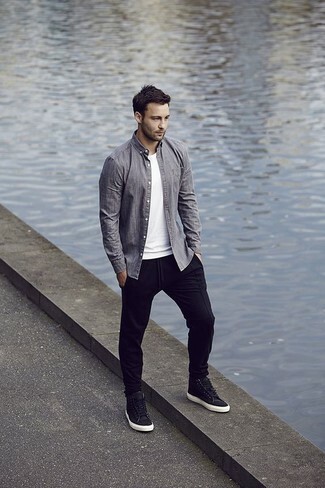 Try pairing a black sweatshirt with black chinos for knockout menswear style. 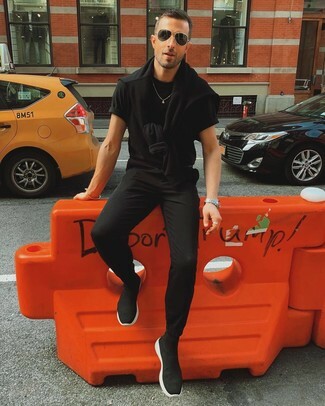 If you need to immediately dress down this getup with one single piece, why not complete your ensemble with black high top sneakers? If you're hunting for a casual yet on-trend getup, make a grey long sleeve shirt and black sweatpants your outfit choice. Both garments are totally comfortable and will look great together. Grab a pair of Akademiks cap toe hightop sneaker to have some fun with things. Dress in a black hoodie and light blue ripped jeans if you're after an outfit idea for when you want to look casually cool. Akademiks cap toe hightop sneaker from DrJays.com work amazingly well with this look.